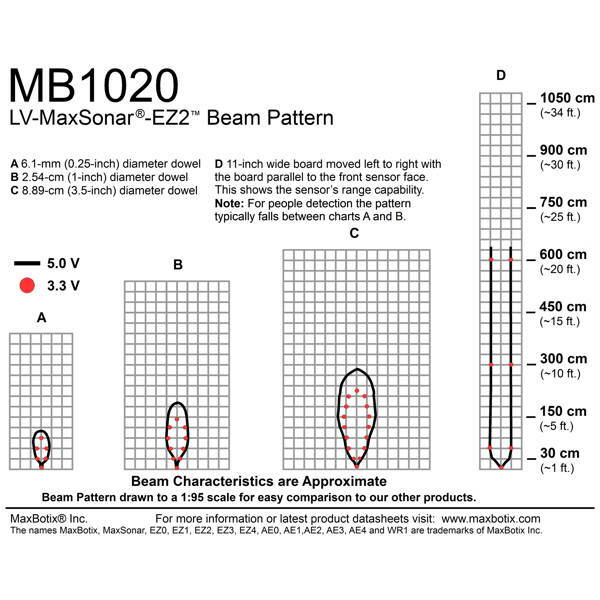 The MaxBotix MB1020 LV-MaxSonar-EZ2 is a High Performance Ultrasonic Rangefinder with a versatile beam pattern. 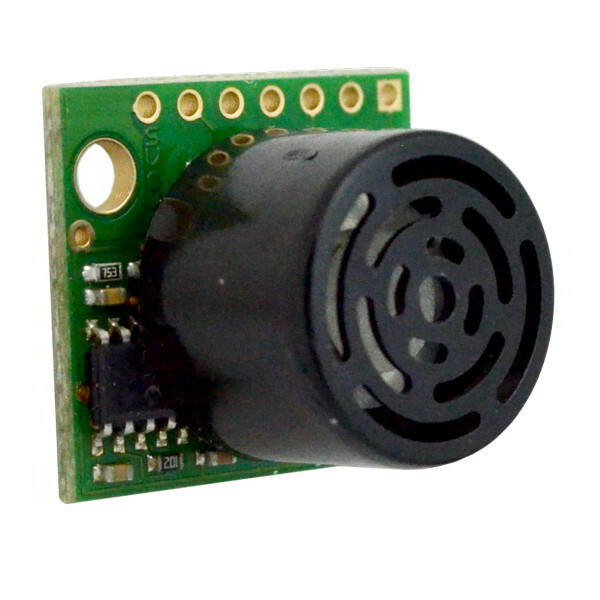 The LV-MaxSonar series ultrasonic sensors are the original high performance distance sensors from MaxBotix. This version has a beam pattern with a good balance of sensitivity and side object rejection. This ultrasonic sonar sensor can measure distance up to 254 inches away in 1 inch increments. Objects closer than 6 inches measure as 6 inches for virtually no close range dead zone. Interfacing MaxBotix range finders with your robot project is easy with 3 sensor outputs to choose from. 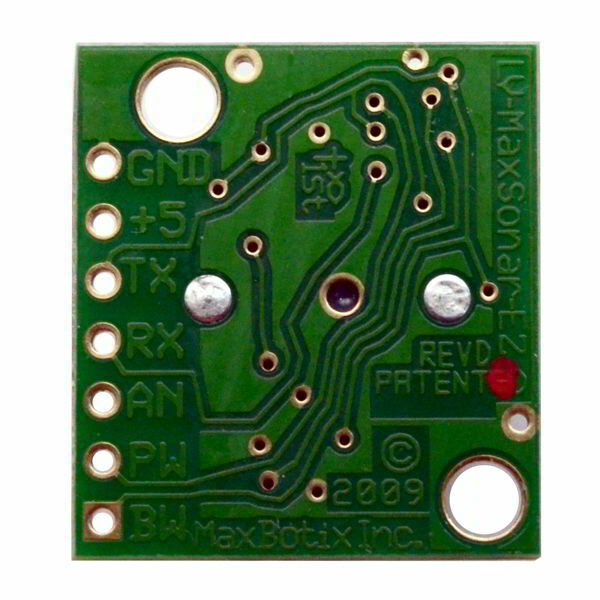 The sensor simultaneously outputs its measurements using an analog voltage, a digital PWM and a TTL serial data stream. 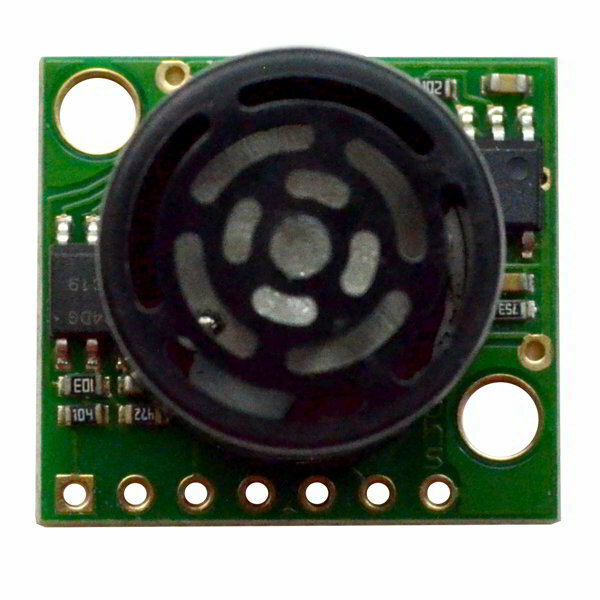 This distance sensor module can be used with 3.3V and 5V microcontrollers.